Lisa Holden was originally trained as a painter and later went on to experiment in performance, audio sculpture and video. Her work with photography began when she documented her adopted family over a period of ten years. However, when she realized she was always looking for angles, always trying to find her own story, she decided it was more honest to focus the camera on herself. Holden feels that combining the real and the artificial can convey truths in a way that unvarnished facts cannot. Much of her imagery actually combines two sitters, again underlining the fact that the work is concerned with universal notions of the self and identity. And she is continuously looking to refine her visual language in a way that first draws people in, then sets them thinking. One of the main themes in Holden’s images is identity. Growing up in the North of England as an adopted child, she always felt out of place. Holden often describes herself as a square peg in a round hole – not just within her family, but within the broader context of society. The added question of knowing nothing about her birth family and roots made Holden feel quite isolated and excluded. As a result, she began to explore ideas of identity, looking at the face as a mask – a surface that can be changed and adapted at will. In the last six years, her interpretations of the self, and identity, as malleable and ever-changing, have become anchored in a blend of imagery from classical art, early photography and consumer culture. Her compositions have gone from focusing on heavily-pixilated close ups of the face to group compositions, to figures placed within landscape settings. Through this exploration, Holden found that without any knowledge of a personal history, it is very hard to exist in the present and envisage a future. As a result, her works challenge viewers with a barrage of questions. 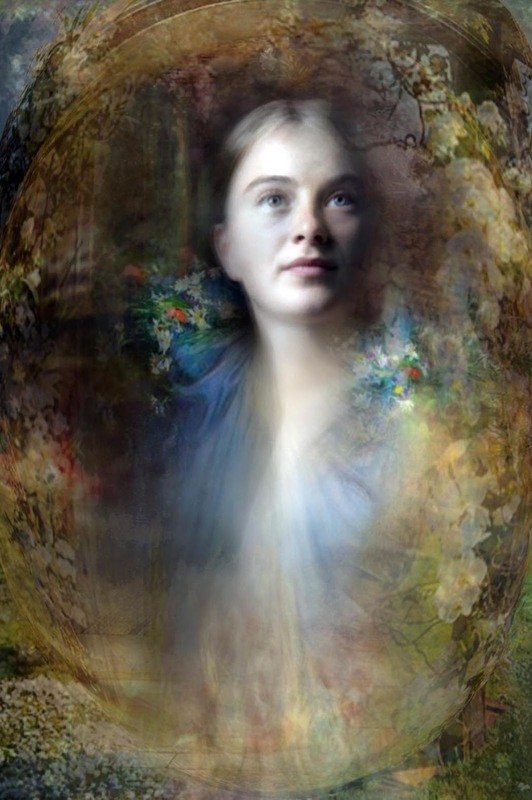 Is some kind of memory imprinted in our DNA? Are our bodies roadmaps of where we came from and where we are going? And how do we reach that knowledge? The compositions themselves are built up out of multiple layers, building in ambiguity, which in turn creates a space into which the viewer can insert his or herself and his/her own narrative. The works also articulate a triumph: reclaiming or reshaping personal identity and reinvesting it with power. Holden’s compositions also act as psychological spaces, as doorways for reflection. In this sense, they link past and present, while hinting at possible futures. These mythological spaces often reference periods within the art genre, notably the Pre-Raphaelite Period and artists such as Klimt and Schiele. Each piece is completed over a period of months, sometimes even years. The image-making process is intuitive and painstaking; a great deal of work is discarded as she constantly tries to clarify the composition, with work that has to be meaningful, each successive piece more fluent than the one before. As part of the image-making process, Holden stretches the fabric of the image to its breaking point, letting it collapse back onto itself. It is a way of playing with technology, using it organically and allowing ‘flaws’ and ‘imperfections’ to appear – literally ‘showing the cracks’ as the layers and masks of identity slip. 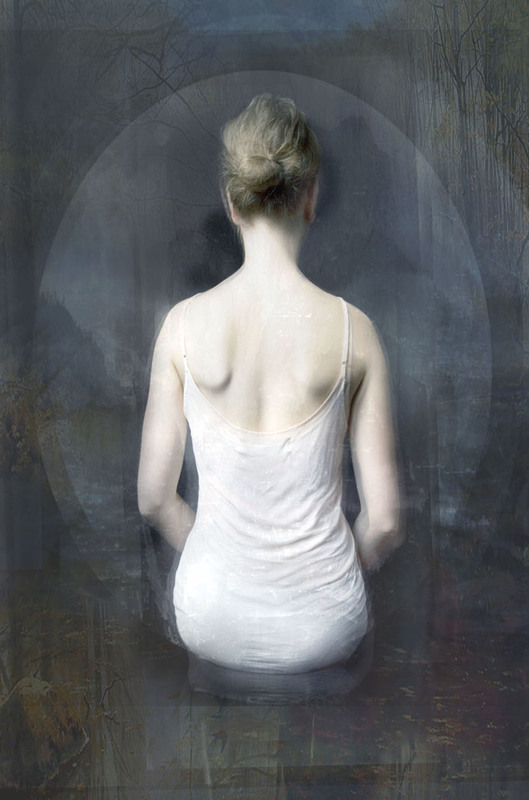 In her series Blue House a woman in a white slip appears to be subsumed by the room she resides in. Never facing the viewer she emerges reflective yet content in the darkness. The images hum with potent possibilities embracing both obscurity and light. 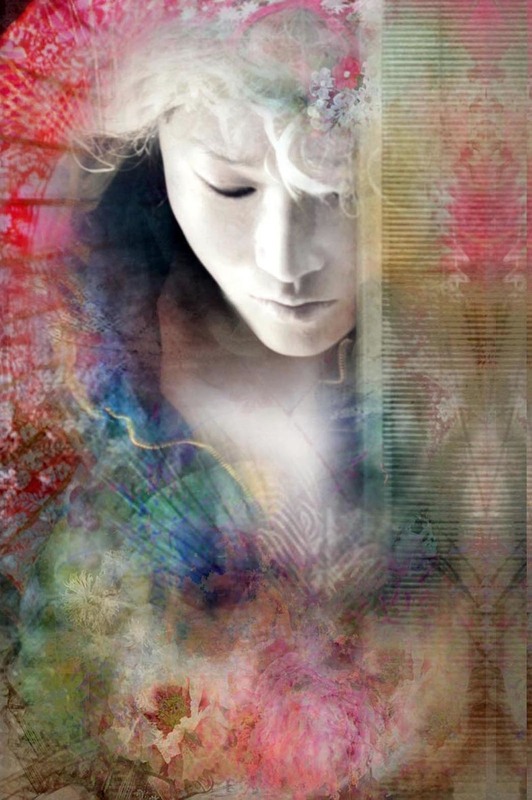 The works embody the emotive themes of Iris by Pietro Mascagni, the story of a subjugated Japanese woman - an opera that preceded Puccini’s Butterfly - depicting hope, desire, innocence and tragedy. Continuing the narratives of misfortune in love La bohéme is encapsulated through the thoughts of the protagonist poet Rodolfo as his love gazes towards the viewer with haunting effect. Tchakovsky’s Queen of Spades explores obsession, madness, death and the eventual suicide of Liza. 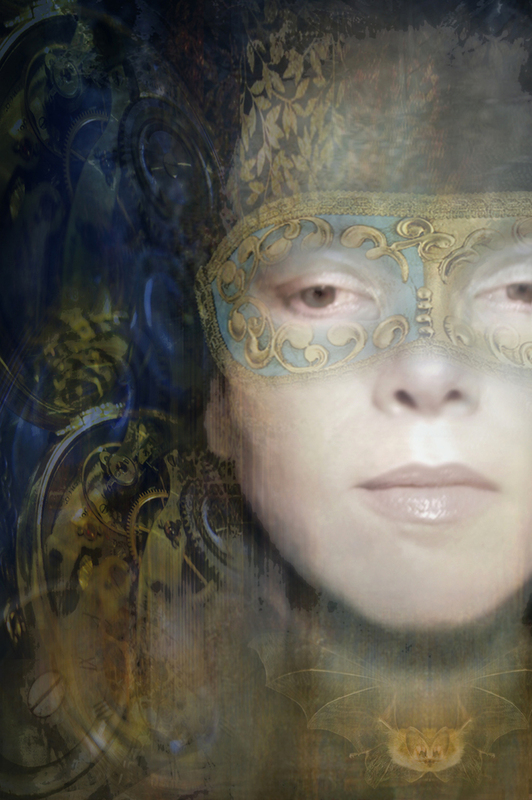 The masked ball in Johann Strauss II Die Fledermaus is illustrated with a portrait of Holden herself, both powerful and complex, revealing the layers of meaning and hidden identities revealed throughout the opera. A masked ball in Rossini’s comic opera La Cenerentola show the effervescence of a woman whose attendance to a ball in this Cinderella tale come about through her goodness, not that of a fairy godmother.